Mayor Rahm Emanuel and his brothers were recently interviewed by Time Magazine to talk about their childhood in Chicago. Chicago Mayor Rahm Emanuel may have grown up like many other rambunctious children with two brothers, but there was something about his childhood that may have primed him for success. Emanuel and his brothers were recently profiled in the Sept. 5 issue of Time Magazine for a piece that dealt with succesful American siblings. The article paints the picture of a group of fist-fighting brothers who were often reeled in by their activist mother, Marsha, who was occasionally arrested for demonstrating against segregation in 1960s Chicago. “If we did not go with her to a particular protest, that protest was brought home,” Emanuel told the publication. “Just eating dinner was a test of current events." Ultimately, the Emanuel boys grew to be independently successful men. The family’s eldest, Zeke, is a vice provost at the University of Pennsylvania. 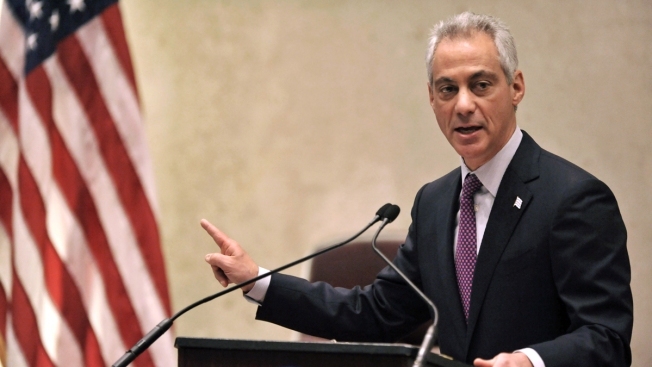 Like Mayor Emanuel, he was also a member of the Obama Administration. He served as one of the key architects of the Affordable Care Act. The youngest brother, Ari, created William Morris Endeavor, one of the country’s largest talent agencies. The foul-mouthed agent from the HBO television series Entourage, Ari Gold, was influenced by Emanuel. The brothers also have a much younger, adopted sister, Shoshana. The TIME piece looked at the lives of nine American families with children, like the Emanuel brothers, who grew up to achieve great success. It went on to analyze the similarities the families shared, like having involved parents, plenty of opportunities, and few obstacles many underpriviledged children face. Further, it found that eight of the nine families had a parent who was an immigrant or educator, five had a parent who was both and many parents were involved in political activism. During their childhood, political activism was a key influence in the Emanuel household. In an accompanying video, Emanuel reflected on telling his mother he was worried that she loved his brother Zeke more than him. The mayor said she jokingly told him that she hated all the brothers equally. “If you really want to know what motivates us, you can end the interview right there,” Emanuel said. The brothers also reflected on their father, Benjamin, a pediatrician who forged a campaign against lead paint. “That doesn’t mean we get it right every time, but we get it right enough of the time and save a lot of time on the decision-making,” Zeke said. In the video, Emanuel noted that the brothers have remained close throughout the years. “Only your brother can dunk your head under water. Anybody else touches you, we’ll kill you,” the mayor added. The eldest Emanuel also noted that the brothers were forced to become tough during childhood. "We were called a lot of bad names, and we had to withstand that and continue to go on," Zeke said. "That breeds a certain kind of toughness. If there wasn't blood it was a good night," he added.